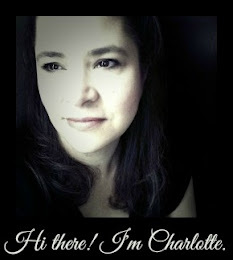 I've been a long time reader of the blog Amongst Lovely Things. I've watched Sarah's family change and grow (exponentially it seems) over these past, what... 5 years? Surrender your idea of what the ideal homeschool day is supposed to look like and take on, with both hands, the day that it is. Rest begins with acceptance, with surrender. Can we accept what He is sending today? This is an invaluable lesson for homeschooling moms to learn because frankly, most days aren't going to meet our perfect ideal. We are humans dealing with other humans who are all dealing with life. There are illnesses, broken machines, dogs with digestion issues and a myriad of other things ready and willing to get in the way of your perfect day. Sarah's advice is do less, integrate more, don't hold yourself slave bound to a published resource, stay focused on your purpose, major on the majors and then enjoy the beautiful wonder that is your children's childhood. Through this journey, from steamrolling through the checklists and curriculum to focusing on the relationships she was building with her children, the peace that was so elusive to Sarah previously has been found and that is quite an accomplishment considering the crisis mode of life that she's in right now with a toddler and infant twins. Peace, just like children, comes in varying shapes and sizes and temperaments. It's easy to say "surrender to God your fears and anxieties and try to embrace His plan for your children, your family, your home"... but when people start asking "can you tell me specifically how to do that" you might have to acknowledge that His plan is different for every child, family and home. 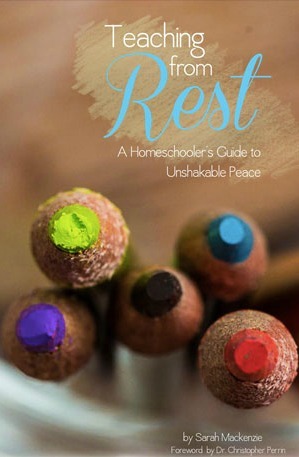 Sarah's definition of "rest" comes from Andrew Kern who says, "The most important thing a homeschooling mother can do is to teach from a state of rest." and Sarah's interpretation of that statement is that "we ought to enter into God's rest and then serve Him wholeheartedly- not out of anxiety, but out of love and trust." What a beautiful place to start. "First I look at what I want to teach my child (for example, grammar) and how much time I can give (1/2 hour, three times a week, for 1/2 a school year)- then I look at my resource and plug in the chapters. This means that it often takes us 2-3 years to get through what other homeschoolers try to cram into one. " See, I believe that we have a responsibility to our children to make sure that we aren't the cause of them missing out on the skills they need to successfully launch into the real world. Are we going to do it perfectly? Probably not, but I refuse to let it be for lack of trying. Instead of sitting down and asking how much time you are willing to give to your child on any given subject, ask yourself how much time is a reasonable amount of study time to be expected taking into consideration how much reasonable forward progress you can expect. And then maybe, ask yourself where you are giving of yourself too much outside of your family, or heck, just pursuing your own desires and passions too much. Because as much as we can be honest about the fact that homeschool moms know how to work hard, we also have to acknowledge that self-discipline can be a struggle for us too. We, especially us creative types, know how to indulge our pleasures and interests and we sure know how to justify it too. I'm not saying that mama doesn't need a break now and then, but maybe mama does need to ask herself how much personal indulgence is enough? We need our children to see us choosing to pray first, then do our work and then go play if we want them to someday be adults who choose to have a healthy prayer-work-life balance as well. We are forming their souls for Heaven but first, they have to survive this world. That means holding down jobs, paying bills, meeting deadlines, working hard, playing too, dating people, and managing all different kinds of relationships on a daily basis. Sarah goes on to say that, "I’m teaching to mastery, we only move on when we know that we know that we know the material. I’m not teaching according to the book’s timetable..." Now, I admit, I'm not that familiar with Benjamin Bloom's educational philosophy of mastery learning or it's various previous and post iterations, but a little bit of looking into it tells me that it was a response to the typical institutional school philosophy that everyone moves on at the same time without any consideration for children who might need more time to grasp the concept. Frankly, this doesn't happen in my homeschool when it comes to skills that need to be learned. A very young Professor in his "study carol". Reasons of faith aside, the main reason I choose to homeschool my children is so that I can tailor their education to them, to suit their interests and maximize the effectiveness of their learning styles for ease and enjoyment. But maybe there are homeschoolers out there just desperately trying to cover as much ground as possible and raise Little Einsteins. While there are certainly some subjects that can be quantified as mastered based on skill sets learned, off the top of my head I can only think of math, grammar, handwriting and phonics and most of those are usually mastered in the early elementary years. I can see skills that could be considered mastered within the study of science, but science itself is a subject like history and literature, not a skill. Skill levels can be measured for sure and Sarah did clarify that her idea of mastery is in reference to skills only so that makes more sense to me. The problem I have with the formal idea of mastery learning within a homeschool is that it depends upon multiple layers of assessments that just aren't practical for every concept and sound like a lot of extra busywork for mom and student. It also seems like there will be a lot of repetition for a child who has trouble mastering a skill which could lead to the idea that "schoolwork is boring". For some children, complete mastery comes later with maturity and understanding. I also don't expect my children to master to a 100% level every skill or concept they are introduced to. Learning is a lifelong project. Mastery in the early grades of things like reading, multiplication, spelling... sure! But there are still grammar rules that I am learning or rather, trying to remember, and historical connections I am making for myself. We learn new things about history all the time. Sarah agrees with Dr. Perrin who espouses the opinion that "true breadth is achieved through depth. Our children get a broad education when they go deep into a few carefully selected subjects, not when they dabble in ten." I agree that no child needs to be pursuing to a full degree ten different subjects at one time, but I don't agree that diving deep into subjects is the best kind of education for young children. It depends on the child and the age. I prefer to give my young children a survey of different subjects and then narrow down the ones they want to dive deeper into. For example... choosing Astronomy for my space and weather minded oldest son but choosing to study Botany with two little girls who loved flowers was a no brainer. We chose to go deeper into the subjects that they were passionate about after they had already enjoyed a shallow survey of the other physical sciences. So, cut down on the number of areas that you focus on unless it's something that you or your child has a passion for. And that's where I have some concerns about Sarah's practical applications (and I am not the only one if you read the combox). Perhaps it is just my perspective as a mom of older children. Her message is a beautiful one but I shy away from anything that tells other moms "how to do it"… and yet, it's what young mom's want, isn't it? Just tell me how to do it so I don't get it wrong!!! One mom might interpret Sarah's directives to mean that there is no need for her stress over that art appreciation curriculum sitting dusty on her shelf and she will breathe a sigh of relief. But for the mom who loves art history and can't wait to share it with her children, where is the encouragement she needs not to give up on that opportunity? Maybe suggest she put it off until she's out of survival mode (because you will get out of survival mode, I promise Young Mom!) Maybe ask her to ask herself if there is an easier way to help her children to explore this subject she loves. Maybe give her options that she hasn't considered on her own. What about the child who has a passion for a subject that doesn't fit into the lesson plans that Sarah thinks should be tracked? Encourage his mom to stretch herself a little bit. Let go of an ideal, but still try to engage his natural interest and curiosity. Maybe encourage her to give him the skills to learn about the subject on his own. Maybe mom needs to stop thinking of herself as "The Teacher" and needs to start being the guide, the counselor, the director, the facilitator. If you teach your young children the skills they need to explore a subject on their own in the middle grades (with a little of mom's guidance) and give them a proper understanding of diligence, perseverance and self-discipline balanced with freedom and creativity, they will embrace their education as their own and hold themselves responsible for accomplishing it to the best of their ability in the high school years. That's what my experience has been so far. I don't want to limit my children's choices for the future by not doing enough now but I think I'm realistic in my expectations and so do my children (right kids? :). My first and primary focus was to teach them to read well, to read independently and most importantly to enjoy reading. Foreign language is not a subject we require until high school. Music study is piano lessons once a week for as long as the child is enjoying them. Art appreciation comes in the form of pictures and prints on the dry bar at home or trips to a museum. I do insist that my children work hard enough to be considered on or close to "grade level" in their math skills because those are vital to their options for college in the future (provided none of them has any kind of learning disorder which they don't… learning disabilities are a whole different ball game). My kids have been pushing themselves to "catch up" to that grade level target regarding math, not because we let them take 2-3 years to finish one math book, but because the program we were using was sorely lacking in academic standards. They know first hand how much hard work it takes to catch up and are thankful that we made the switch before it was too late. Vocabulary is a part of literature. 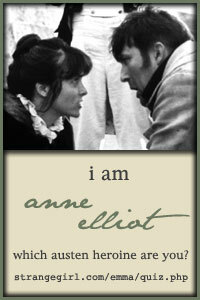 Literature is a part of life. Poetry… meh. I admit it's not important to me but when Rain desperately wanted to explore it, we did it. I found a resource for her to use. She ran with it and made it her own. Writing is communication, not a formula, and vital to every day life but I don't push it in the early grades when handwriting is still a skill that is being learned. This is what has worked for us. So, I think there is a balance to be found between checking things off a list just to get them done and taking a too leisurely stroll through just the things I want my kids to know. I don't feel like I am steamrolling over them or damaging my relationship with them in the process because they understand why they are working so hard, how it will pay off in the end and because we make sure to take breaks when we need them… that's why we school year round. They know that I am here to help them but they also want this education for themselves. That is something that maybe is unique to some children. My kids want to learn and we listen to them tell us what they want to learn. We give them all the resources we can to learn whatever they want to learn whether it's latin or poetry or knitting but also the encouragement to persevere through the subjects that don't intrigue them but do fulfill certain requirements. Most importantly, we focus on teaching them how to learn. Teach a child how to learn and there won't be anything they can't learn if they put their heart and mind to it.